Advanced Moving Company is full-fledged moving service company that holds specialization in Residential Moving. The company is popularly known for moving houses, apartments and partials; they are capable enough to move all your belongings safely to your new house. The company has been in the industry for almost a decade now and is continuously making their customers happy with their efficient moving services. They provide you with highly qualified and trained movers who can handle all the tasks related to your moving that includes packing, unpacking, loading, unloading and storing. The movers of the company are efficient in carrying all your belongings with utmost care and respect keeping in mind that nothing gets damaged during the relocation process. The utter dedication and hard work of the employees have made the company count in the list of topmost moving companies of town. 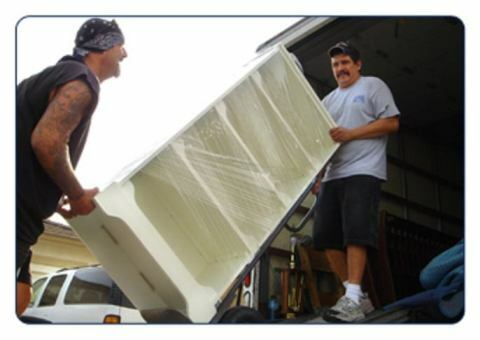 They have been able to maintain a good reputation in the entire moving industry. They also provide auto shipping and storage facilities thus marking your move as a fully successful and completed in all terms. All the services are offered at affordable and guaranteed prices and that does not include any other hidden charges and includes services like the wrapping of furniture, electronics, lamps, pictures, mirrors, and more. Thus, making your move easy and a memorable for you and your family. Their friendly staff, enormously good moving services and unique methods of performing the tasks have made them the #1 preferred and reliable company of the area. 213 E Maude Ave, Ste 101, Sunnyvale.